Post Type to search: Choose what kind of post types to search. If unchecked all, Search will perform on all post types. 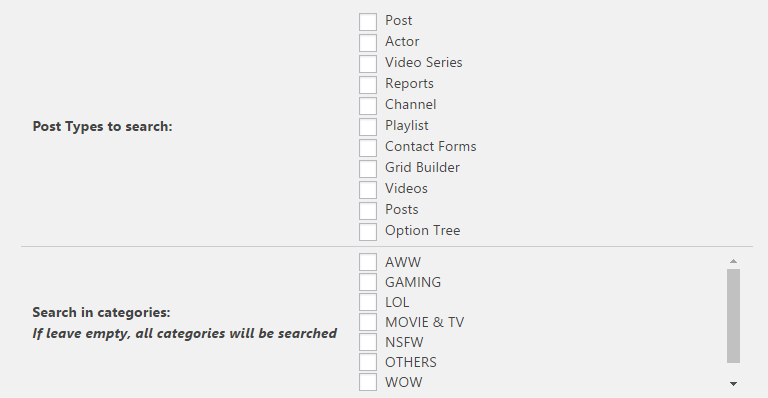 NOTE: This option is overridden in Theme Options > Search settings > Search Video Posts only actually. 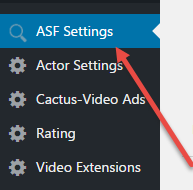 Only Search Videos: Check this option if you want to search on Video only. Highlight Results: Highlight search result by wrapping similar words in the search results by a tag. NOTE: NO longer support! 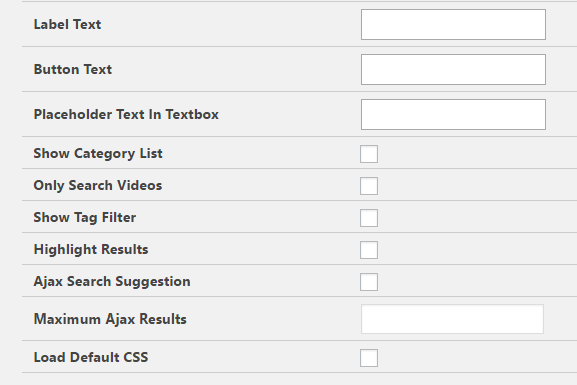 Load Default CSS: Load pre-defined CSS file for the search filter panel. 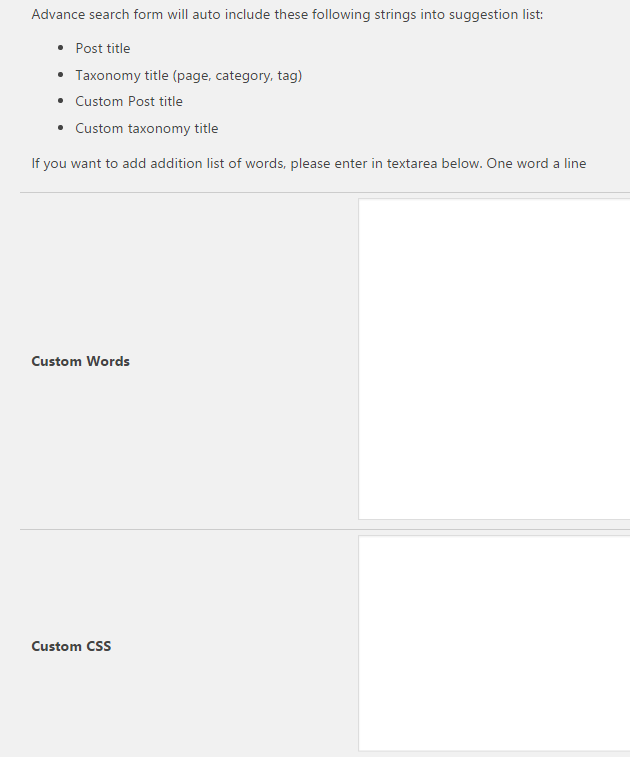 Custom Words: If you want to add additional list of words, please enter in textarea below. One word a line. NOTE: NO longer support!